I love multi-tasking, as long as it involves simultaneous cups of tea and netfix. Applying the same principle to my skincare routine just makes sense – multi-masking is the way to go, as far as I’m concerned. I like to target different areas with different masks – smart skincare. I’ve got two favourites of the moment that help to clarify my skin and then leave everything with a big dose of hydration. My favourites of the moment include the L’oreal pure clay purity mask, which is one of those nicely drying masks – leaving the skin feeling baby soft and clarified without any oil or grease. Such a good pick for summer, for when you get home after a long day and you just want your skin to feel clean! I only use this on the middle of my face – I think if I used it on my cheeks my face would shatter into a million pieces. 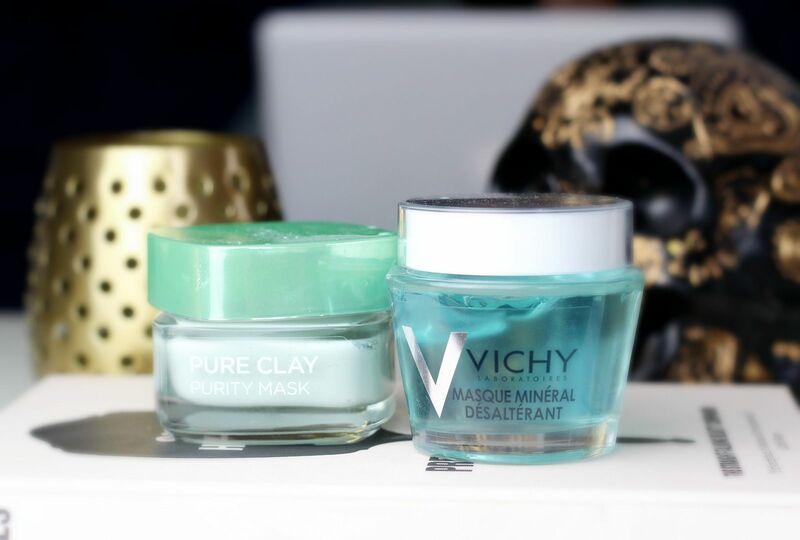 On the drier bits of my face I am still obsessed with the Vichy Quenching mineral mask – I’ve mentioned it before, and I’m still really enjoying how it leaves my skin feeling.